A popular day trip from London, Brussels has a well deserved reputation for good food and beer. Really easy to do now that the Eurostar goes there. On one of our drinking club visits to Brussels, one of our group got bitten by a monkey. Doh! 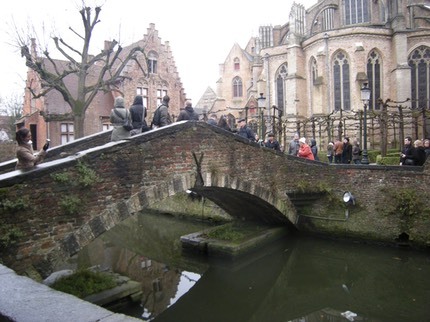 Jonna and I spent New Year in Bruges at the end of 2011. Every restaurant was shut for gala dinners. We knew this but were still a bit surprised at how hard it was to find food. Evidently loads of other people were as there were lots of hungry people. Into the main square for the countdown and the host introduced the Mayor. Cue, a big round of booing so it's not just the British that do this. Bruges is very pretty, being constructed around a network of canals. 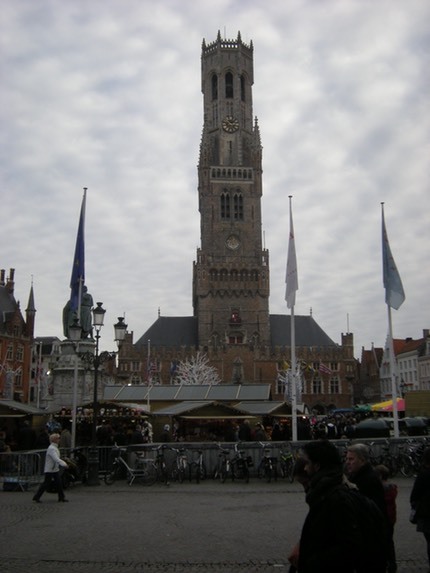 The big cathedral in town, seen in the film "In Bruges" has stairs all the way to the bell tower. They get increasingly tight and it is a genuine relief when you get to the top and see the bells. From the top you can see all the way to the sea, and the port of Zeebrugge. Many fine bars with the whole gamut of belgium beers. 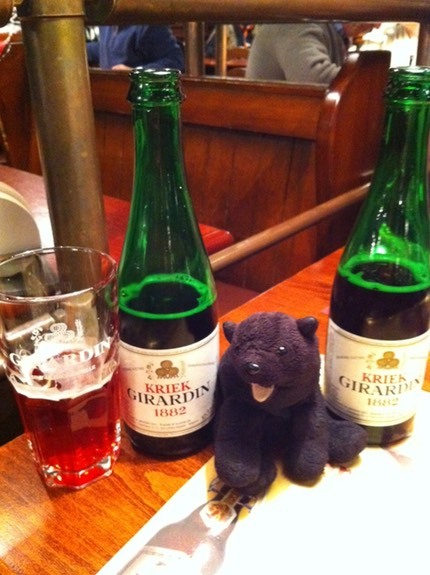 Here is Billy with a nice cherry beer.